After seeing Microsoft’s 2017-released Surface Pro (5th Gen) discounted multiple times of late in an entry-level configuration with a productivity-enhancing keyboard included, a newer and significantly faster model is on sale right now at Costco in an even sweeter bundle. Not only does the Surface Pro 6 come with a powerful 8th Gen Intel Core i5 processor under its hood in this substantially marked-down variant, also shipping alongside a black Surface Pro Type Cover and Platinum Surface Pen. The 3-in-1 package containing the latest edition of the Windows 10-based tablet, an extremely well-reviewed keyboard (albeit an older version), and a snazzy stylus with a top-notch 4,096 pressure point count, is available for an inexpensive grand total of $799.99 until March 3. That’s 100 bucks less than what Microsoft is currently charging for the Core i5-powered Surface Pro 6 with 8GB RAM and a 128GB SSD alone, while the Type Cover and Surface Pen are separately worth another $230 or so on their own. Basically, you’re looking at massive savings of 330 bucks all in all for a versatile mobile computing setup that can successfully replace your conventional desktop. 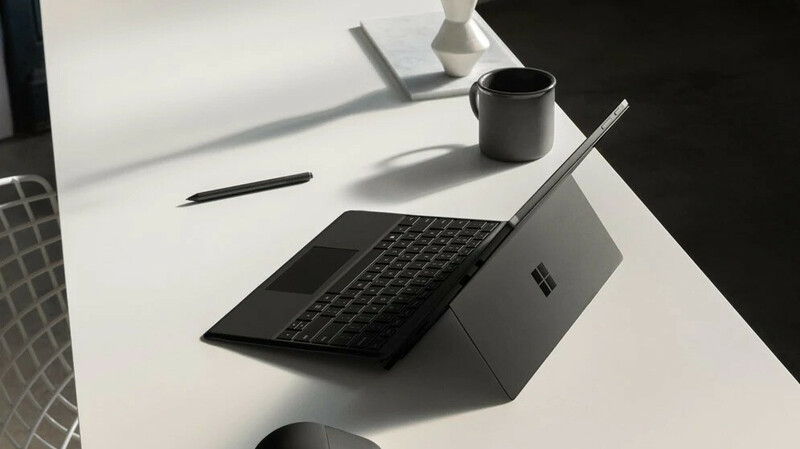 A similar bundle discount was offered a couple of months back by Best Buy and Microsoft, but not for the most affordable Surface Pro 6 configuration. And the Surface Pen wasn't included either. And the deal expired before many potential buyers and bargain hunters could learn about it. This time, there’s no hurry, at least in theory, but you’ll need to be a member of Costco’s warehouse club chain to take advantage of the irresistible special offer. Right now, the estimated delivery time ranges from 3 to 5 business days from the time of your online order, suggesting plentiful inventory. But that could always change, so you may not want to wait too long before pulling the trigger. Trust us, better deals are not waiting around the corner. The pen is useless (I have it, it came for free with my SP5, never use it), so basically there is a $230 discount on the tablet and keyboard bundle. Hardly worth mentioning :) However, the Surface Pro is a great tablet with hardly any real competition. For me pen is worth it. I use it to sign documents and avoid printing, signing and scanning. Saves paper and time.